Let’s see…A Hofner bass, a Gretsch Country Gentleman and an Epiphone Casino. Although there’s only a cymbal visible, I think it’s pretty safe to assume that the guy’s drums are probably made by Ludwig. I would pay good money to hear this record. Which one is Justin Beaver? “hatsukoi no oka” appears to be the title of this Lp, literally “All of First Love” (per Google xslate). 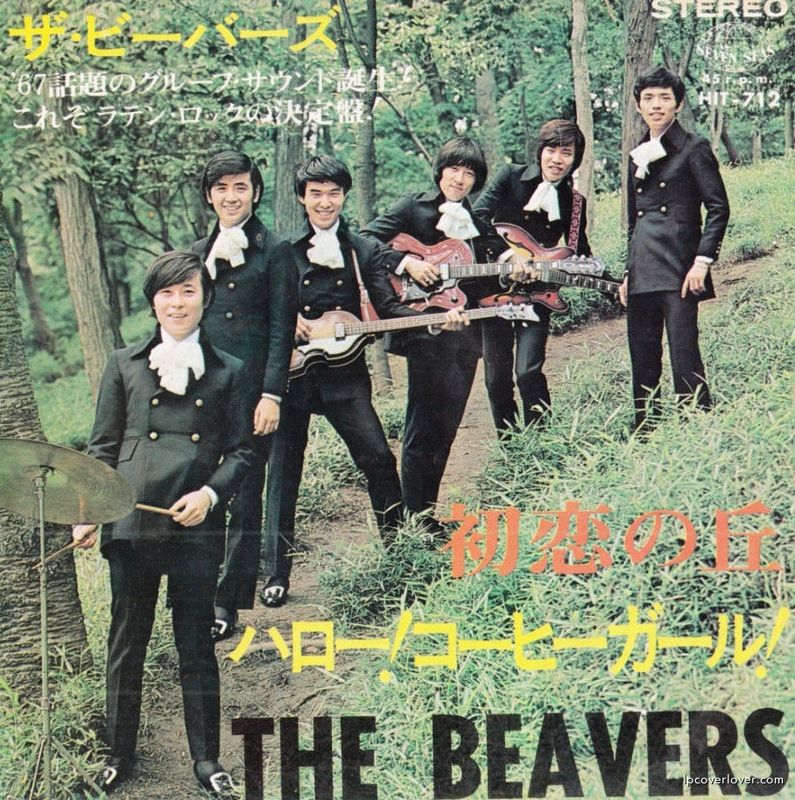 These guys probably would have been seen as part of the “Groups Sounds” genre of Japanese pop music, which was rock music inspired by the British Invasion bands, and is often said to have been set off by the Beatles visiting Japan in 1966.